When Megan asked me to write a blog about the Climate Ride, I wondered how I would tie it to marketing. She said not to worry about that and just write about my experience. So, read on if you’re looking for a short escape from work. If you’re looking to learn more about SEO, you might want to skip it. I recently participated in a life-changing event. 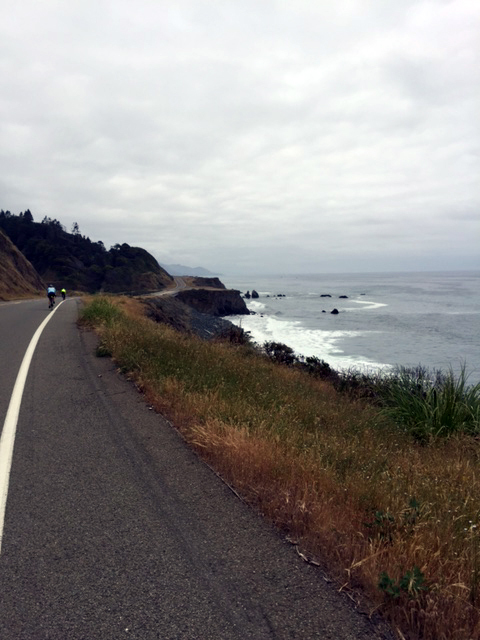 I rode my bike over 300 miles in northern California to raise money and awareness for organizations that work to combat climate change. This is a cause that is near and dear to my heart. I don’t remember the exact moment that I became so passionate about the environment. I wish I could say that it happened when I was a kid on some amazing family vacation to a national park, or when I was a teenager and visited the ocean for the first time. None of those things happened. The truth is, we didn’t take family vacations and I didn’t see the ocean for the first time until I was 20. What did happen was this. In college, I discovered mountain biking. Which was probably the first time I really started appreciating nature and all the beauty that this world has to offer. I was hanging out with Recreation majors and was spending my weekends camping and riding, and it was a blast. In the years between then and now I’ve experienced many miles of Wisconsin and Minnesota terrain on a bicycle, a particularly scenic tour in the Tuscan region of Italy—also on a bicycle, many camping excursions at Lake Arbutus near Black River Falls WI, many hours of trekking on the Superior Hiking Trial, an amazing week in the Boundary Waters, and an awe-inspiring trip to the Grand Canyon. These trips were not just welcome breaks from work. They were the best vacations I’ve ever had. Well, except the one in Sonoma, but that’s another story. Fast forward many years later, and I find myself more passionate than ever about the outdoors and our precious earth. So much so, that I would ask my friends and family to donate their hard-earned money, and that I would take a week of my precious vacation time and spend hundreds of dollars of my own hard-earned money to get myself and my bike to California. And it was worth every penny. The scenery was spectacular. The people were incredibly kind and smart. Many of them have careers dedicated to the environment and are very successful in their fields. It was inspiring being around them and hearing their personal and professional stories. It was also fun experiencing the great redwoods for the first time with them. And stopping for oysters on the coast with them. And having beers with them after a long day of riding. To sum up the Climate Ride in just a few words, I would say it was spectacular, unforgettable, and life changing. Humans were not meant to wear spandex. Some redwoods are over 2,000 years old—which is precisely how old one feels at the end of a 100-mile day. It takes approximately 1 hour to climb a 5-mile hill going 5 miles per hour (I’m sure I learned this in grade school too, but it was fun to actually do it). When camping, it’s best to pitch your tent in a spot with a direct route to the bathroom for those 2:00 AM trips. No matter how padded your bike shorts are, you’re still going to get a sore bum after spending the better part of 5 days on a bike seat. If you’re looking for guaranteed sun and warmth, go to Southern California, not Northern California. The incredible Humbolt Fog cheese is made in Humbolt County CA, and is named after the morning fog that descends on the area every day. Your mind can get your body to do things you thought might never be possible. Peanut butter & Nutella sandwiches are the bomb. Treehuggers are the nicest people on earth.